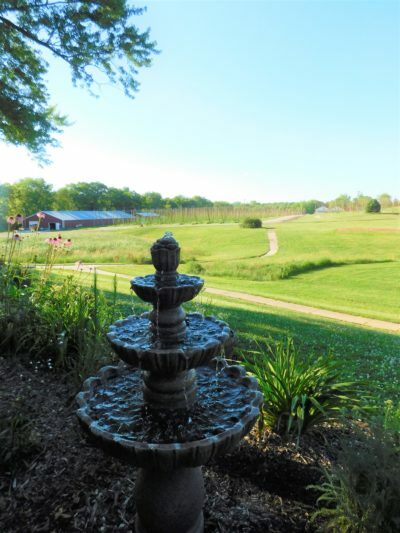 In 2015 when Bruce and Annette Wiles planted hops on the property, they also planned to open a Tasting Room so all who appreciated local craft beer, could also enjoy the farm where some of the key ingredients are grown. “The Hop Yard” is the latest addition to our hop family. ​A destination tasting room like no other, “The Hop Yard” is surrounded by fields of hops with beautiful scenery and a spacious outdoor patio. We’ve created a casual atmosphere that is both comfortable and inviting with large glass windows allowing views of the hop yard and the expansive setting of our farm. ​Stop by to see the hop farm, relax outside on the patio by one of our fire pits or gather some friends for a game of sand volleyball or horseshoes. Or pull up a chair and order a flight of the finest craft beer around. 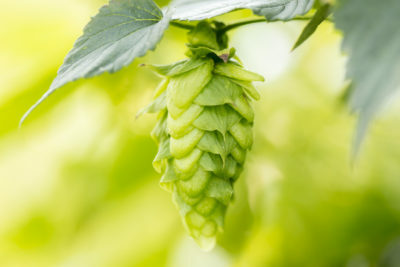 ​During the summer months, our hop fields are bursting with towering bines and filled with hop cones. We offer weekly tours May through July, so you can learn more about hop production. Finish up your visit with a tasting or a little shopping. We have an assortment of hop themed merchandise and clothing, as well as pint glasses or growlers to commemorate your visit. ​ We’re nestled in the Platte River Valley, a few miles south of Omaha. Directly off Highway 75, just North of Plattsmouth. We offer the freshest beer, distilled spirits and wine available that are crafted to compliment and showcase local ingredients. We work closely with Nebraska Brewers to provide them with the highest quality ingredients grown right here on the farm. In turn we bring you the finest craft beer brewed using locally sourced ingredients. With over 40 Nebraska Craft Breweries in operation and eight beers on tap, our beers and styles will rotate based on availability. We make every effort to bring you an assortment. Our taps will change, so ask your server what we’re pouring today. We focus on serving you the best beer brewed in Nebraska sourced with local ingredients that might not be available anywhere else.